Four vase sizes were produced. They were approximately 6 cm, 7 cm, 9 cm and 13.5 cm tall. The design proved unpopular and was withdrawn in 1983. However, the two taller forms reappeared in 1984 listed as 'Tree Vases'. Blue; Green. Lily is also known in Cranberry, White and Clear Glass, but these are not standard colours. 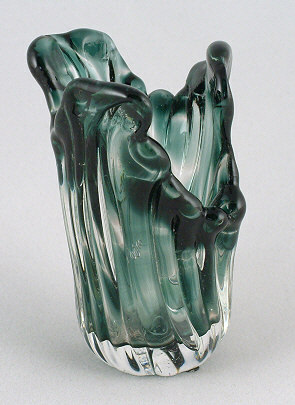 This vase is only 6 cm tall, the smallest of four vase sizes. This is the largest of four sizes of vase and is approximately 14 cm tall. 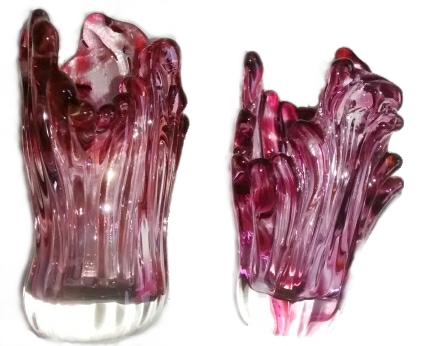 These are the two smallest sizes of vase in the non-standard Cranberry colourway. 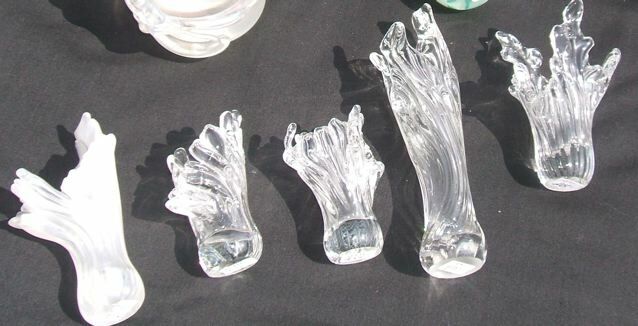 A selection of Lily vases in white and clear glass. Image courtesy of celticway.